OK HBO, you have our attention. The "Big Little Lies" season two trailer dropped Sunday before the "Game of Thrones" season 8 premiere, and the polished women of Monterey Bay are back, with things looking more intense than ever. The original cast -- Reese Witherspoon (Madeline MacKenzie), Nicole Kidman (Celeste Wright), Shailene Woodley (Jane Chapman), Laura Dern (Renata Klein), Zoë Kravitz (Bonnie Carlson) -- all reprise their roles. They are joined by new faces who seem ready to stir up trouble in the oceanfront community where secrets from season one appear to have a lingering and traumatic impact. A scene from "Big Little Lies," season 2. The trailer starts with a focus on Celeste, along with Madeline, Jane and Renata, chatting in Madeline's car. "We're kidding ourselves if we think people will stop talking," Celeste says to the women. The audience gets a glimpse at a surfer who approaches Jane on the beach and knowingly says she is "one of the Monterey Five," a moniker neither Woodley's character, nor the rest of the women in the group, knew they had. When Renata asks how he said it to her, Jane replies, "Like we all have scarlet letters on our pecs." A montage follows with close-ups of their concerned faces in various locations and scenes, including a contemplative looking Bonnie, who stands alone in front of a police department. 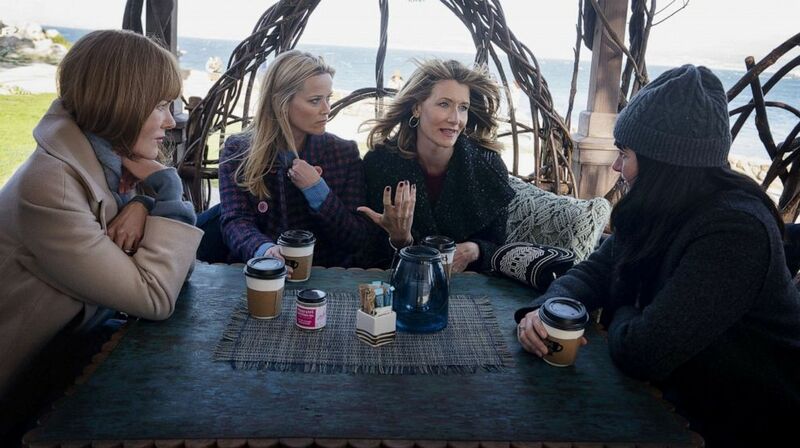 Nicole Kidman, Reese Witherspoon, Laura Dern and Shailene Woodley in a scene from "Big Little Lies," season 2. The brooding theme music that strums through the new trailer sets the tempo for an intense quick cut between shots of the women screaming and waves crashing on rocks. We also get our first look at Meryl Streep, who joined the powerhouse cast as Celeste's mother-in-law, Mary Louise Wright. 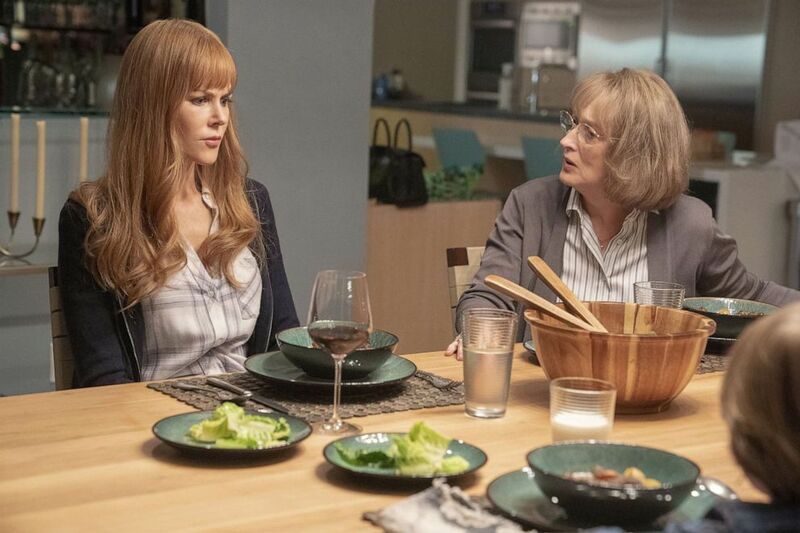 Nicole Kidman and Meryl Streep in a scene from "Big Little Lies," season 2. "My son is dead. I want to know what happened that night. I'm very tempted to ask you, but I, I don't think I would get the truth would I?" Wright says while seated, confronting Madeline in public. She comes to Monterey looking to get answers about what really happened to her son Perry, Celeste's abusive husband who died at the end of season one. The Emmy award-winning series returns to HBO June 9. Check out more about what we know ahead of season 2 here.